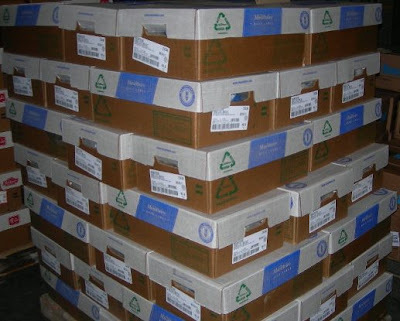 Corrugated manufacturer Easternpak will attend Gulfood 2010 from 21- 24 February 2010 at Dubai International Convention and Exhibition Centre in Dubai, United Arab Emirates (UAE). Gulfood is the Middle East's leading and biggest business event for foodservice and hospitality, food and drink, ingredients, restaurant and cafe. Easternpak produces retail ready packaging, corrugated boxes, trays, and base wrap for beverage, catering and foodservice, dairy, and processed food industries. Sanita awards 'Win a Super Feminine Laptop' contest winners with Dell mini laptops. Sanita of Halat, Lebanon announces winners of the Private brand contest "Win a Super Feminine Laptop". Private is a leading feminine hygiene brand in Lebanon. Sanita congratulates "Win a Super Feminine Laptop" contest winners thus far. There are still 60 Dell mini laptops to give away. Sanita is a leading consumer disposables manufacturer in Lebanon. Private®, Freshdays® and Miss Teen® are leading feminine hygiene brands in the Middle East. The Lebanese Ministry of Economy & Trade has recognized the quality management systems adopted by MASTERPAK. Under the patronage of the President of the Republic of Lebanon, the Lebanese Ministry of Economy & Trade has awarded the Lebanese Excellence Award 2009 to MASTERPAK. The event took place on 21 January 2010 at the Presidential Palace in Baabda. MASTERPAK, a PE film manufacturer based in Zouk Mosbeh, Lebanon, is a member of INDEVCO Flexible Packaging, a division of the multinational INDEVCO Group. The Lebanese Excellence Award is internationally renowned and is designed for organisations or organisational units that wish to be regarded as national role models and develop continuous improvement. The award is granted annually to organizations committed to excellence. In particular, award winners adopt quality management systems and Lebanese Quality Management Model approaches designed and executed by the Lebanese Ministry of Economy & Trade. The Lebanese Quality Management Model is based on the European Foundation for Quality Management (EFQM), a major international quality and excellence model. The 2009 award program was managed by QUALEB Sustaining Quality Programme, a European Union-funded project hosted at the Lebanese Ministry of Economy & Trade. MASTERPAK sister companies, Unipak and Unipak Tissue Mill also received Lebanese Excellence Awards 2009. INDEVCO executives meet to review performance, align, and leverage on internal resources. 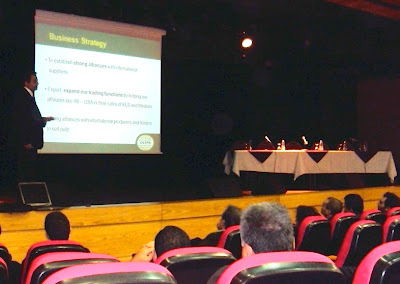 On Tuesday, 29 December 2009, executives from across INDEVCO's administration, business divisions, local and international operations gathered for GEM3: General Executive Meeting in Bethania Conference Center in Harissa, Lebanon. President & CEO Neemat Frem welcomed attendees and emphasized INDEVCO's seven core values that make the group a strong organization. Frem congratulated the group's business divisions for their exceptional achievements in 2009, despite unprecedented events in the global marketplace. Furthermore, in order to leverage on internal resources and expertise within the group, executives from General Supplying Agencies (GESPA), and INDEVCO service departments - Insurance, Management Information Systems and Organization Effectiveness - showcased their extensive services available to business units. Executives attended from Middle East, North Africa, and Europe.